Congratulations to Danny Fuhs, Winner of Event #25: $5,000 Omaha Hi-Low 8-or-Better ($277,519)! Three long days of poker are in the books and Event #25: $5,000 Omaha Hi-Low 8-or-Better has officially reached its conclusion. After a grueling heads up match that lasted for several hours, Danny Fuhs was able to defeat Christopher George to earn the title, the bracelet, and the $277,519 in first-place prize money. The third day of play began with 27 players taking their seats over the final three tables. The field was stacked as names like Dario Alioto, Eric Crain, Huck Seed, Paul Sokoloff, and Maria Ho returned for the third day of play only to fall in the day's earlier stages. Dan Kelly was also present during Day 3 play as he has been for a vast majority of the series. 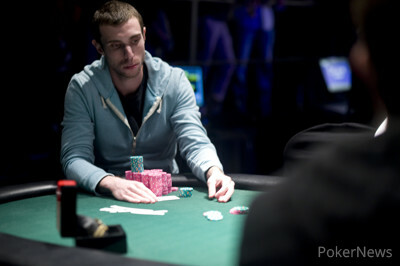 Kelly was eliminated in 20th place, however, and unable to seize the final table appearance. Even so, this marks Kelly's seventh cash at the 2013 WSOP and he's on par to continue to crush the fields as the series goes on. Once the final two tables were reached, the players began dropping like flies. 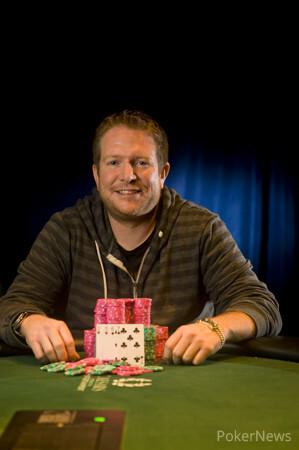 Players like Todd Barlow, Alexander Kostritsyn, George Danzer, Shawn Buchanan, Julie Schneider, and Mike Matusow all narrowly missed out on making the final table. The field combined with ten players left for the unofficial final table. 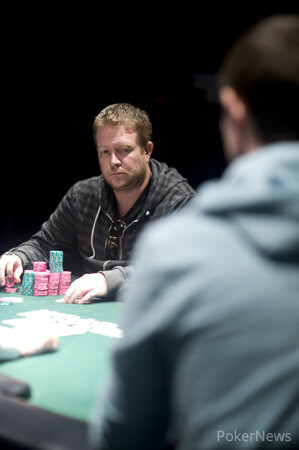 After over an hour of play, 2010 WSOP Main Event champion Jonathan Duhamel fell as official final table bubble boy. 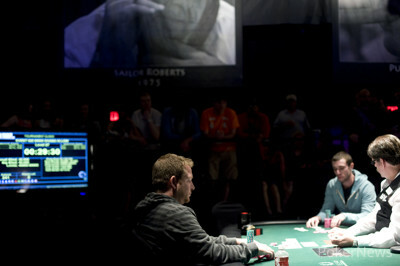 The first two casualties of the final table also made appearances at last year's final table of this very same event. Bart Hanson was the first to fall and was unable to improve on his seventh place finish in 2012. The next to go was Ryan Lenaghan, who did manage to improve on his ninth place 2012 finish by scoring an eighth-place finish this year. The 2009 WSOP Player of the Year Jeff Lisandro was the next go when he was forced to move his short stack all in from the blinds and ended up being chopped up by his opponents. Arthur Kargen, and Viacheslav Zhukov were also remarkably short-stacked and were eliminated mere minutes after Lisandro's bust. Four handed play raged on for almost two hours until Brian Hastings became the next player to bust. 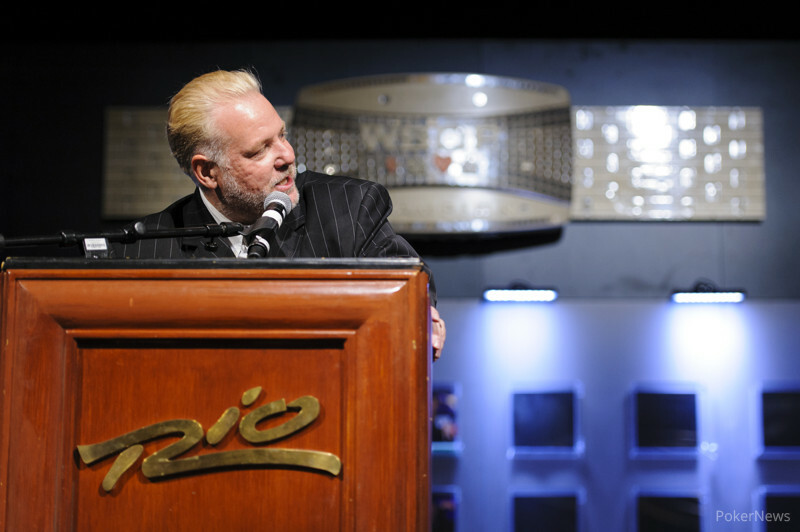 Hastings fell at the hands of Robert Mizrachi, who despite earning the rest of Hastings' stack, found himself the next to go as the third-place finisher. The heads up match between Fuhs and George raged on for several hours and even ended up going into an extra level at the end of the night. With the limits growing as time progressed, the two traded the chip lead back and forth several times. Finally, after returning from their final break of the night, Fuhs was able to pull away and scoop two big hands in a row to cripple George. The two got it all in for George's tournament life soon after and Fuhs' hand was able to hold. He was officially crowned the champion of Event #25! That does it for our coverage of the Omaha Hi-Low action here in the Amazon room. Be sure to stay tuned to our Live Reporting page for all of the updates from future events here at the 2013 World Series of Poker! Christopher George had the button. He opened with a raise and Danny Fuhs three-bet. The two continued to raise each other until George was all in for 185,000. Greg Mueller rushed the final table area, sweating his friend Fuhs as he was one run out away from a WSOP bracelet. The flop came and Fuhs took the lead. The rolled off on the turn. "PAIR THE BOARD!" yelled Mueller. The deck obliged. The dealer pounded the table and produced the as the final card. Fuhs' and his rail went insane with shouts of jubilation as he was able to secure victory. George was eliminated in 2nd place and will take home $171,536 in tournament earnings. Danny Fuhs called from the button and Christopher George checked his option. The flop came . George bet out and Fuhs called. The turned and George bet once more. Fuhs raised and George came right back over the top with a three-bet. Fuhs called. The rivered and George bet. Fuhs came out with a raise and George sunk in his seat. He tossed in a call and Fuhs tabled for a king-high straight. He took down the pot and left George with just 220,000. Christopher George had the button and raised the action. Danny Fuhs called from the big blind and the flop came . Fuhs checked and George fired out a bet. Fuhs called and the turn brought the . Both players checked and did the same after the hit the river. Fuhs fanned and took down the pot with two pair. Fuhs now has about 2.7 million in chips. Christopher George raised from the button and Danny Fuhs called out of the big blind. The flpp came and Fuhs checked. George continued and Fuhs called. The same action of check, bet, call occurred on the turn ( ) and the river ( ). George fanned for the nuts in both the high and the low. Danny Fuhs raised his button and Christopher George called from the big blind. The two saw a flop come and George checked. Fuhs continued with a bet and George called. The hit the turn and George checked again. Fuhs fired and George came out with a check-raise that was called. George bet the river and Fuhs called. Fuhs called and fanned for a flush and took down the pot.